Oil Marketing Companies (OMCs) in the country have justified the continuous increases in prices of petroleum products this month. The deregulation of the downstream petroleum sector allows OMCs to review prices of petroleum products every two weeks. However since the beginning of the year, prices are being reviewed every week. Prices of petroleum products increased between 8 and 11 percent within the first week of January. This was also followed by an increase of between 4 and 10 percent last week. The situation has lead to agitations and a huge outcry from consumers. But speaking to Citi Business News on the development, the Chief Executive Officer of the Association of OMCs, Kwaku Agyemang-Duah justified the increases. He asserted that the increases are due to the cedi depreciation as well as a drop in production of crude by OPEC members, making the products scarce and expensive. The hikes comes a number of days after the Finance Minister nominee Ken Ofori Atta said consumers would experience an immediate halt in the increase of utility and fuel prices in the short to medium term, adding that government is determined to bring immediate relief to consumers thus hikes in utility as well as fuel prices will not take off any time soon. “We will have to examine our energy mix and I think that we are likely going to get a little bit more from gas which will then help us and give us a chance to breath from that so I don’t expect us to be increasing prices of ECG and fuel we are looking to see how we can as we promised to bring some relief to Ghanaians as we promised”. 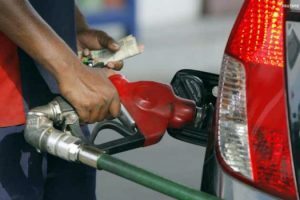 Mr. Agyemang-Duah who spoke to Citi Business News at the sidelines of the opening of two new Total Stations also denied reports they are exploiting consumers with the margins of increase in petroleum prices. Total Ghana has commissioned two new ultra-modern stations; one each in Tema and on the liberation road in Accra. The stations come attached with lube bays, tyres centers, ATMs, convenient stores and food court. The Tema station includes a drive through KFC while the station in Accra comes with the introduction of Mugg and Bean into Ghana.